Every gardener can harvest garlic from their own home vegetable garden and it is easy to grow if grown at the right time of year. Garlic is best grown during the months when tomatoes and summer vegetables have vacated the garden space. In some areas, garlic can be harvested before these summer vegetables require the space. Garlic is an ingredient for many different dishes. Not only can we use the garlic cloves, but we can use the garlic greens or chives in cooking and salads as well. A juice made of garlic cloves and leaves can also be used as an insect repellent for the garden. There are two types of garlic, the soft neck and the hard neck. 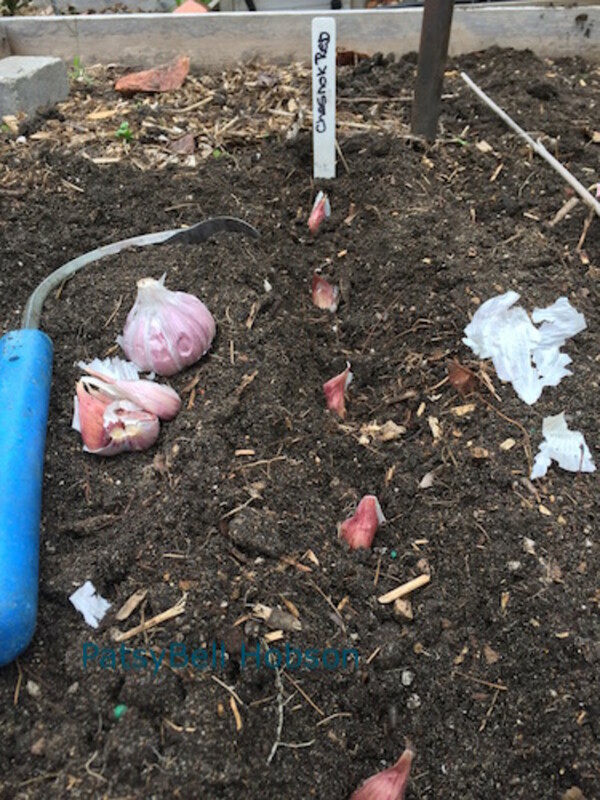 Hard neck garlic is also known as “seed stem” because in the late spring just before bulb expansion, the plant shoots up a flower stem which you will need to remove if you want the best bulb yields. Hard-neck garlic yields larger cloves, tastes better, but will be hard to keep from sprouting in long-term storage. Soft-neck garlic will store better, is easier to grow in warmer climates, and has a slightly higher yield than hard-neck garlic. 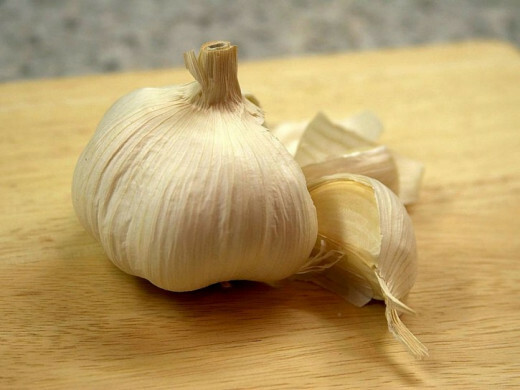 The cloves in soft-necked garlic cloves are more difficult to divide. Most garlic found in grocery stores is the soft-neck variety. Plant garlic in the fall rather than in the spring. Plant when you would plant spring flowering bulbs like daffodils, crocuses, and tulips. Distance between plants: 1-2 inches apart. Mulch after planting to stabilize winter ground temperatures. In spring, remove seed heads as they develop so that the bulbs will continue to grow. Harvest when leaves begin to turn brown. Easiest to braid when some green remains on the stems. The best time to plant garlic is in the autumn after your first frost, but before your first big freeze, about the time you would plant your early spring flowering bulbs like daffodils or tulips. Spring planted garlic does not do as well as garlic planted in the autumn. Rather than planting Garlic in a garden bed that was recently vacated, build a new bed that you construct during the growing season. Garlic grows best in deep rich soil and in the full sun. To build a new bed, begin in the early spring. On a day when the wind is calm (0-5 mph), create a 4x8 foot box with untreated lumber or brick or stones in which to plant your autumn garlic. You may loosen the soil inside the box, but you don’t have to do that. Simply lay out a thick layer of newspapers or cardboard at the bottom of the bed and cover with yard wastes such as leaves and small sticks to hold the newspapers or cardboard in place. Water thoroughly. During the growing season, dump all your household garbage into the bed throughout the summer. Also, add any soil left from transplanting other plants into the garden. 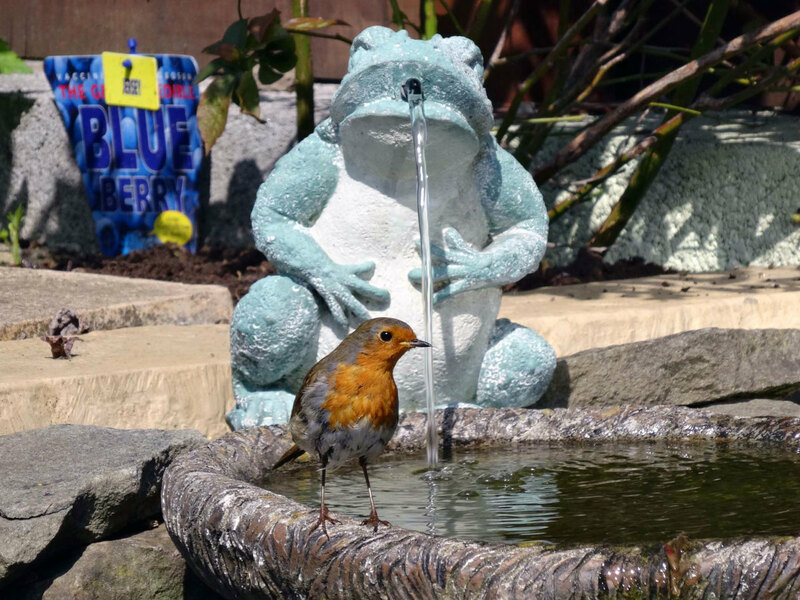 Cover household garbage with purchased soil, keep well watered. Add grass clippings (never use grass clippings from yard if you use herbicides or pesticides in your garden) throughout the lawn-mowing season. The materials you add will decompose during the summer. Stop adding new materials around when summer is about half over so that the compost will have time to decompose before you plant. Be sure to keep your bed well watered. Fill up the garden bed with soil about two weeks before you intend to plant. Never walk on the garden bed. When you are ready to plant, select large healthy cloves and press the cloves into the soil. Space them about 4 to 6 inches apart in all directions. Plant your garlic about 1-2 inches deep. Plant the bed completely with garlic. Be sure to plant the garlic with the root end down. A 4x 8 foot bed will produce enough garlic for eating and canning to last a family of four for a year. When your ground is frozen, provide mulch to the garlic bed. I like to mulch my garlic bed by using autumn leaves that have been run through the lawn mower. This mulch will help prevent frost from heaving the garlic and will prevent weeds from going in the spring. After the leaves begin going again in the spring, be sure to provide the garlic with extra water during dry periods. Keep garlic bed weed free be weeding the bed regularly. Use any bulbs that shattered first. This garlic is good for using in canning and pickling. Save the biggest of the garlic cloves that do not store well to plant your next year’s garlic crop. They are fine for this purpose. Garlic can be replanted year after year without difficulty. This member of the onion family, (allium sativum) has a distinguished history, packed with nutrients, provides a powerful antioxidant, and contributes deliciously to a meal. Alise-Evon, the taproot of garlic grows below the bulb. I think I would want something that was around 9 inches deep, (23 centimeters) so I think that if I were to grow it in a container such as a window box rather than a flower pot. Since garlic grows deep rather than wide, another thought would be to use sections of pipe with one bulb grown in each pipe and then somehow fasten the pipes together perhaps within a pot. You could either put the garlic on an unheated sunporch or leave it outside. Both are fine. Thanks for the very useful information. I have wanted to grow garlic for the past few years now, but haven't tried. The "problem," which I'm not sure really is or is not, is that we only have a container garden. Any thoughts in putting a clove or two in a large container? We could move it into our unheated sunporch with glass on 3 sides over the winter, or just leave it outside, what do you think? Interesting post on garlic, one of my favorite food items! 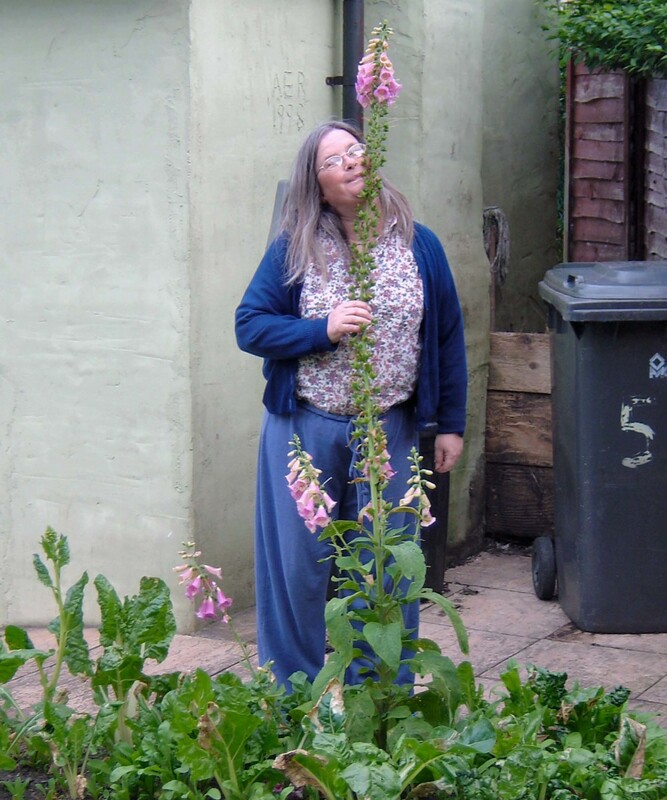 We bought garlic sticks once to ward off the rabbits in a small garden, it worked! If I ever get some space, I will grow garlic of my own, and thanks to you, I will have a good start. Hmm, I have never had that problem, but then I never braid more than say 10 cloves into one braid. Like you I use the ones that don't braid first in canning and eating fresh. Braided garlic also makes a nice gift. The biggest problem I find when braiding the thick/hard neck varieties is the limit to how many plants I can use before my fingers can no longer manipulate the big handfuls of braid. I get a much longer, more compact result from the thin necks. I also do a lot of mixed ones. My husband's hands are bigger and stronger, but he is totally uncoordinated when it comes to plaiting. He'll throw himself into planting, harvesting, trimming etc ... but he walks away when it comes to storage time. When I buy garlic for growing, I usually buy it from the local health food store that specializes in locally grown foods. It certainly costs a lot less than what I would get from the supplier. I've never had any problems braiding my garlic. I just made sure I braided it when it was still a little green at the neck. lol. Now you know it was only a matter of time before I turned up on this hub, cygnetbrown. Garlic is, after all, one of the favourites in my garden. I have huge bunches of garlic hanging in the kitchen ... and outside in my undercover area ... and there's some hanging in the garden shed as well. It was a good crop this year! I was surprised to hear you can't grow soft-neck garlic from your local supplier in your part of the world. I have never bought special garlic, just planting cloves from any garlic I come across in stores to add to my original variety. I've bought and planted Chinese garlic, Mexican garlic, some purple, some white ... and they've all grown. BTW, worth mentioning for anyone who is new to growing garlic, if you want plait your garlic and make it look lovely and neat, grow the thin neck. I have never managed to make thick neck garlic look 'pretty' when it is dangling in the air. Lucky I like the nice rustic look, because I don't have enough bowls to chop the tops off and store garlic on the counter.